That recording is fairly well regarded but the Karajan just doesn't sound like Pelleas to me. 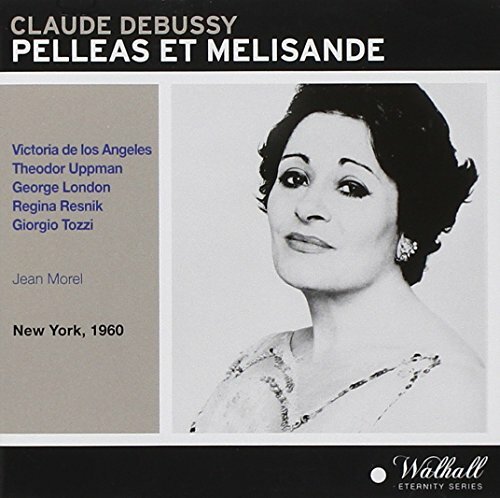 I don't know if there's another recording of Pelleas I've heard that I find as wrong as the Karajan to me--and for the most part, I like most of the extant recordings of the work. There's a luxurious plush solidity to Karajan's sound that feels at odds with the ethereal nature of the work. It's been said that Karajan makes Debussy sound Wagnerian and Wagner sound Debussian. It's called Karajanization. Last edited by Woodduck; Jul-18-2018 at 00:03. To me, $16 for a miraculously better sounding version of this recording is a huge bargain. Well, suit yourself. I'm not paying 16 bucks for an MP3 download. Sometimes I think that Karajan sounds the way driving a Mercedes S class feels. Luxurious, extremely solid, plush, rich. But I'm not sure all music is equally well served by Karajan's approach, and I do think Karajan does have a tendency to approach all music the same way. For me, there is no drawbacks to paying for a MP3 versus physical media, since I immediately rip every CD into my itunes and donate or give away all my actual CDs. In fact, I prefer MP3 downloads since that saves me the time and trouble. 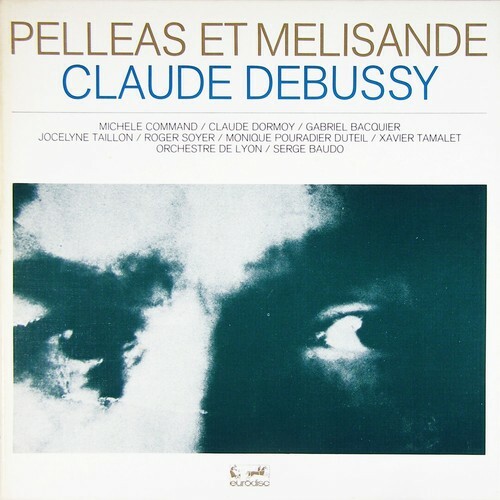 In any case, for those who aren't as firmly against the more interventionist approaches taken by Andrew Rose, I highly recommend the Pristine remaster for the Desormiere Pelleas. I'm not sure that I always think my money was well spent on their remasters (I'm still not sure I really notice the difference much between the EMI Furtwangler Tristan and the Pristine, for instance) but in some cases, the difference is dramatic and substantially for the better. The Desormiere Pelleas is one of those. edited to add--since this is a Pelleas thread and no one has mentioned it yet, I do want to put in a good word for the Gui Glyndebourne performance from 1963. It's the recording that made P&M click for me after the opera failed to click for me in the Cluytens and Karajan versions. I also enjoy the Desormiere and Abbado and Jordan but I think the Gui still remains the most stirring for me. Last edited by howlingfantods; Jul-18-2018 at 02:15. 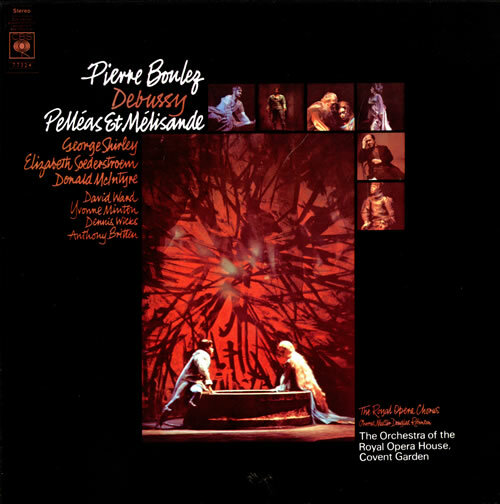 Boulez with the Orchestra and chorus of the royal opera house Covent garden, particularly on Vinyl, is quite good. When it came down to actually buying the CDs the choice was Ansermet with Danco - the earlier mono recording. The singing is very French and all the cast is strong, with Danco, Rehfuss and Maurane a constant pleasure. The words are probably the easiest of all to understand. Since I speak French that's a big bonus. I hesitated for a while over Desormiere and I might buy that too in future. All the more modern recordings had weaknesses of one or another type for me, though I did think about Kubelik and Jordan/Monte Carlo Opera and de Billy. Last edited by les24preludes; Jul-23-2018 at 20:41. I'm willing to review it along other recordings. I haven't heard Rattle's tenure with the London Symphony yet, and I hope the dim and dull Berlin times are gone for good. Saving Wagner operas and Les Troyens, this is the toughest Opera challenged I’ve faced so far this year. I watched the outstanding Boulez Welsh DVD with an amazing cast and stage production. I need to say that I fell in love with the score of this opera, both in the music, the voices and especially the libretto. I’m not one to talk about the whole episodic structure, but I found the two “bed” scenes plus the forest first scene iconic. The conversations between Golaud and Mélisande show so many tension and despair that I felt inside the plot. The wording is prodigious, and their words become much more meaningful than any expression in an opera, because this avoids the typical rhythmic words I hear usually like “larme,” for example. With my basic level of French I could even understand some passages of this theatre play. “Des Grandes Flêches!” :-D.
The listening challenge was much tougher than watching it (it usually happens the other way round). I don’t know how to describe it technically, but one has to follow the words so closely that it becomes exhausting after three recordings in a row. I was too focused in the music too and the low tones and textures are also admirable, but the stereo recordings aren’t usually much better than the mono ones. My two winners were the first and the third to be listened from each mono/stereo row, and others later disappointed a lot. That’s the reason why I was saving better marks for others that could offer me much more, but I didn’t find them. I made several notes about all the recordings, but for those outside the top 5 (not all of them deserve an HM), I’ll just sum them up. Dutoit: the dullest sound and singing. I didn’t even go to Act III to find out about the Yniold character. Abbado: badly casted. Van Dam’s Golaud is too burnt out and the lovers are quite unpleasant. Only the playing is slightly detailed. Yniold is played by a well-acted soprano. [B]Jordan: Great and lean sound but stiff cast. Uninteresting. Yniold is a soprano. Ansermet 52: I have more credibility although the sound is very vintage. Golaud and Pelléas sound quite well-acted. Yniold is a light soprano, better acted. Ansermet 64: it was generally boring, with the same effects as the mono recording. London as Golaud has lots of issues in the first acts (because of the lower notes) but he later improves. Great Pelléas (Maurane). Again a well-acted light soprano plays Yniold. Karajan Rome 54: Karajan playing the RAI orchestra like a virtuosic and German ensemble. I like this interpretation more than later, but the concept sounds too German (as well as the studio account). Schwarzkopf’s Mélisande is outstanding and enrapturing (the real deal of this recording). Roux is a correct Golaud and Haefliger is too dark for a young man (he gives his best only in Act IV). The issue is the singing style. Standard soprano as Yniold. I need more paragraphs to describe my opinions about the seven best recordings I’ve listened too, although if I were stricter, there would be only two honourable mentions and two winners. The ones out of the Top5 were a HQ modern recording and a BR studio recording, both more similar to a concert performance without audience. The latest London Symphony recording conducted by Simon Rattle probably offers the most detailed sound quality and playing, comparable to the Boulez Covent Garden effort. The other great strength of this version is Gerald Finley’s Golaud, a bass that controls his dynamics perfectly during the whole record. There is a lot of beauty in the package, but my main concern is the reason why a mezzo like Magdalena Kožená was casted as Mélisande, not ignoring the average performance by Gerhaher’s Pelléas. It’s nonsensical in a competitive listen, because in a single listen she proves her skills quite well. There are plenty of sharp passages where a dramatic soprano would be comfortable with, and a standard soprano would not have lots of trouble because they are usually particular attacks rather than aria sections. It’s unbelievable to cast Kožená despite her proved wide range. She has trouble through half of the score and the sharp attacks are almost sung breathless, in falsetto. Good thing she also sung for BR Das Lied von der Erde, because I’m sure she can deliver a powerful statement. This recording uses a boy soprano (Elias Mädler) for Yniold, very well sung by the way. I have my priorities very clear in this challenge in this challenge, and I think I will try nothing else than the two recordings that suit my interpretation of the score perfectly. I thought the Boulez recording could be improved by anyone else like Karajan or Rattle, but it never happened that way and I awarded his cavernous concept for the CBS. The Walhall release of the live Metropolitan performance should be an urgent purchase because the first recording to be tried was the one to show the most visceral and terrifying vocal landscape despite the poor resonant sound. This was my most hyped performance of the challenge, and it certainly didn’t feel like a dark opera. Debussy? Rather soft and careful here. José van Dam does a well done effort as Golaud. He's soft, aggressive, threatening, and also his pronunciation is odd (nothing to do with his later French recordings). Geneviève is also well represented by Nadine Denize, but I felt that the couple casting was misunderstood. Stilwell’s Pelléas doesn't move me, and I dislike his sharps, but he is careful, as well as Arkel, and Yniold, etc. Frederica von Stade is an odd Mélisande too, because it doesn’t sound French either. Her line when she drops the ring is terrible (a whisper instead of a jump-scare). Karajan doesn’t let the music flow like others do, and makes the music a bit boring but also floating. I don’t understand. If this is fifth without deserving HM is because the others weren’t that good. Well-acted soprano as Yniold. Jacques Jansen repeats in Pelléas alongside the studio side of VDLA for Mélisande. I don’t like the youthful style Jansen gives and shows that he is forcing himself a bit vocally, but his role is comprehensible and I don’t think he’s a missed opportunity. The studio sound looks unbeatable for mono recordings, but the challenge that wasn’t fulfilled was to keep the zero-gravity in the complete score, lacking the dramatic feeling. This is anyway a big step from Karajan. Golaud and Arkel (Souzay and Froumenty) do a great job. This is almost really well done for being a recommendation. Victoria also shows off and delights the ear. It’s just that I have another winner. You should wait for a reissue by Warner instead of going for an expensive Testament remaster. Standard soprano for Yniold. This recording is hissy and very old, but it has a spark, it doesn’t bore me. Etcheverry’s Golaud is not as scary as I’d like, and he’s like a young baritenor. I think the cast sings notably better here than in the Cluytens later recording, highlighting Act IV. 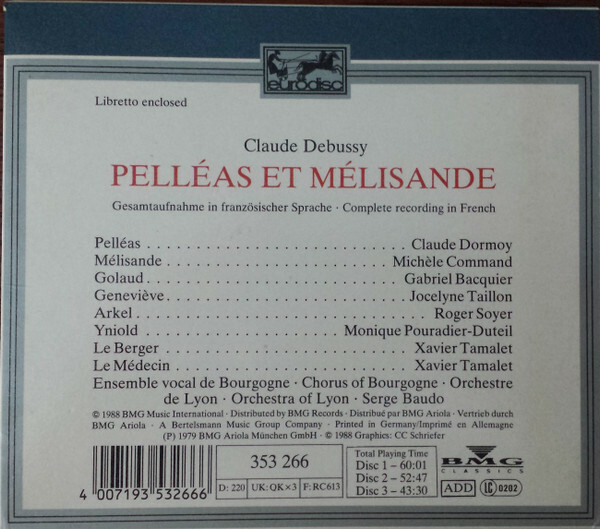 Jansen’s Pelléas has the colour and tune I like for him, and all the males sound sharper than other contenders. Irène Joachim sounds delicious but not as iconic as De Los Ángeles. I admire the quality but I have other choices. Light soprano as Yniold. It took me a while to understand the concept of this recording. This is a studio recording assembled from a Covent Garden 1969 production led by a rising Pierre Boulez that gave a spin to the score that hasn’t been paralleled by anyone else. The focus of this haunting recording wasn’t in the singers, but in the music and the musicians. The depth included here is scary. Every word sounds meaningful and reaches a climax in Act IV. Shirley’s Pelléas shines in Act II, and Söderström’s Mélisande brings creamy middle tones that tell her apart from VDLA but provide or even increase the same depth. McIntyre plays a dry but credible Golaud. This is my stereo choice, and it even makes a boy soprano play Yniold. I was quite struck to listen to this recording before any other. The Metropolitan live recording is very hissy but incredibly deep and sombre. The SQ is great anyway, and lets everyone enjoy the singers with the basic ranges and also letting part of the experience to the imagination. Here, Victoria de Los Ángeles brings the most inspiring Mélisande on record: crazy, explosive, scared. Giorgio Tozzi’s Arkel is also a very good choice, who does his best to close Act V. Regina Resnik has the honour to play Geneviève. Finally, George London sings the most iconic Golaud on record, twice as better as his Ansermet part. He sounds amazing and brings a lot of voice-acting and perfect projection, adapting to the darkness of the final act or the moment he discovers Pelléas playing with Mélisande’s hair. Theodor Uppman can be considered the weak link of the performance playing Pelléas, because his tone is certainly of a natural baritone with enough range to cope with Act IV. He’s got stamina. I have some problems to tell him apart from Golaud. There is an unusual distortion when Pélleas sings at the end of Act IV Scene 4, and Yniold is played by a mezzosoprano. A star-studded performance that stays faithful to the dark essence of the opera. Excellent post, thanks, Granate. I don't know the 1960 Jean Morel recording, so I'll have to remedy that. I'm also not familiar with the early Boulez Columbia recording either, but do have his later one on DG DVD, which I like: https://www.youtube.com/watch?v=gHSKXZpZWCk. For me, Karajan's Pelleas is too soft & Wagnerian (the opposite of Dutoit's cooly Gallic approach). I find it overrated. So I agree with your reservations. 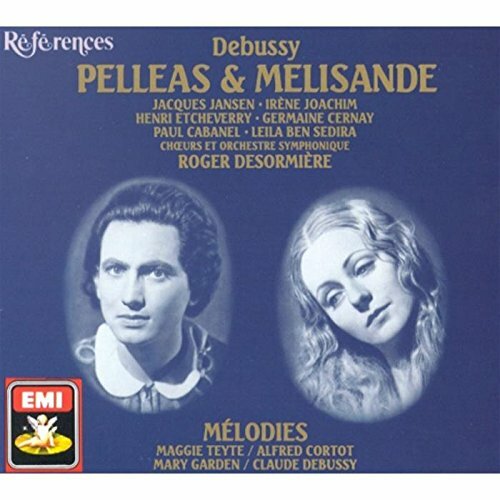 There's also an important 1953 Pelleas et Melisande from conductor Jean Fournet on Philips: https://www.amazon.com/Debussy-Pelle...ebussy+pelleas, plus a lesser known 1980 Netherlands radio recording from Fournet too: https://www.youtube.com/watch?v=dTNRTfIeQcE, and a much talked about 1988 Moscow premiere from Manuel Rosenthal, who was Ravel's third and final student. But I'm not sure if the Rosenthal performance was ever recorded (I thought I'd seen something on it, but can't find it now--Edit: it might have been a documentary film?). In the 1980s, Fournet and Rosenthal were the last two surviving conductors with living links back to the musical Paris of the 1920s & 30s--hence, the Debussy-Ravel-Stravinsky era--that lived and conducted into the digital era. I like both conductors enormously in French music. Bernard Haitink also did a Pelleas et Melisande recording that received strong reviews, as I recall, but I didn't think it was competitive with the very best myself. Last edited by Josquin13; Oct-02-2018 at 20:37. Interesting how we react. To me your view is unrecognisable to the recording I possess. Neither to John Steane who remarks: "the opera has never moved me so much either on record or in the theatre." Whatever people thought of Karajan's conception von Stade received universal praise at the time of the release. "An infinitely touching performance" according to Steane, "One of the classics of the gramophone." Interesting how views differ. Which is just illustrating how subjective criticism is! I tried to find that Eurodisc recording even from people in this forum, but I wasn't successful. I'd like to try it but I'm just hoping Sony to remaster and release the Boulez recording they own. 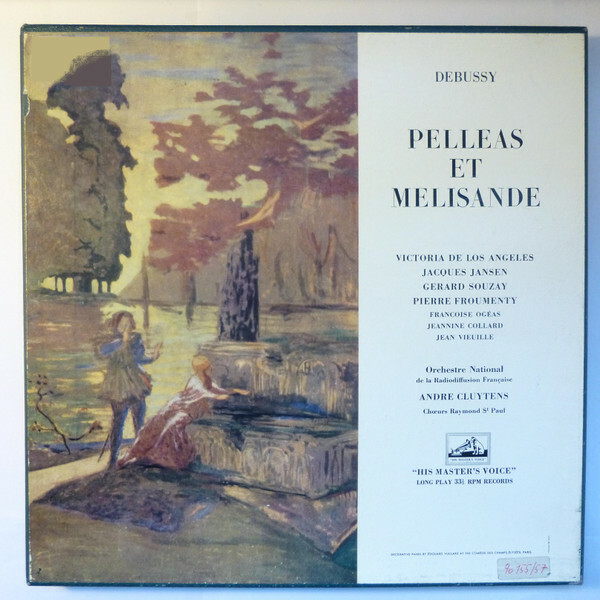 I'm currently doing my Pelléas et Mélisande challenge, but I can't find audio files anywhere of these two recordings. Do you have rips of these recordings you could PM me? Thank you very much. I'm sure that when the complete Karajan Opera collection in Warner is release, I'll own it completely, but his two PeM sound too "German" for me. I didn't get his way with the score and even less his choice for the two main singers (I may prefer Haefliger and Schwarzkopf because they sounded more iconic to me). Seriously, I was furious when Stade sung that scene like she had never dropped her keys in a sewer. Congratulations on a splendid post, Granate, even if I don't agree with you on some points. The opera is one of my favourites and has responded to a variety of different approaches over the years. I must say I too enjoy the Karajan studio recording, and find it hard to understand how anyone can be unmoved by it. That said, it has always been controversial, many finding it anti-Debussyian (whatever that means). I really should hear his earlier recording with Schwarzkopf, as I've read good things about it elsewhere. I wouldn't have expected Schwarzkopf, a singer I love in Strauss and Mozart, to be a successful Mélisande, but her portrayal has been widely praised. I would have placed both Ansermet recordings higher and Boulez lower. I still have the Boulez on CD, but find it totally lacking in atmosphere, not only the recording but the conducting. As so often with Boulez, it is fascinating to hear so much of the detail, but it just comes across as detached to me. Last edited by DavidA; Oct-03-2018 at 10:28. All times are GMT +1. The current date and time is Apr-25-2019 16:43.